In view of the SC's provision, the costs of meeting family needs are borne by the two spouses and they are jointly responsible for the obligations assumed for the family's needs, it does not claim payment of half of the loan for the period between its withdrawal and the date of the actual separation. Cong. the provisions of the Law on Obligations and Treaties governing the right of any jointly and severally liable debtor who has exercised more of its part to claim the difference from the other jointly liable debtors. Solidarity is established only in the interests of the creditor, while in the internal affairs the joint debtors answer separately. Article 127, paragraph 1 of the CPA establishes the rebuttable presumption that each guarantor is responsible for an equal part of the obligation that is paid to the creditor. The recourse under Article 127 (2) of the Code of Civil Procedure is a means for the paid debtor to receive what he has paid over his part of the general obligation. CASE: Former spouses with terminated civil marriage with a lawfully enforceable decision on December 3, 201, issued in the city / 2013. Immediately after the conclusion of their marriage 21.05.2006, namely on 7.06.2006. the two of them as co-borrowers withdraw from Raiffeisenbank AD a bank loan for consumer needs amounting to BGN 10,000. for a repayment period until 25.05.2013. The annual interest rate was 10.50%. According to the contract, the loan was repaid from her salary to a bank account, *** The withdrawn funds put up for furnishing the family dwelling with address: town of Pushkov **** 13. She and her husband separated from her on 22.05.2008, after which she continued to pay the loan, which she repaid personally and entirely according to the contract on 25.05.2013, together with the interest. The entire amount paid by the bank for the final repayment of the loan amounts to BGN 14 000, of which BGN 10 000. principal, and interest of BGN 4000. Both parties were required to pay solidly the repayment installments on the loan, that is, the payment of installments is used by both parties, and the delay is the result of the guilty behavior of both parties. Irrespective of the amount the applicant has paid, it has repaid the parties' common debt because they are jointly liable to the bank. The solidary co-debtor, who has paid the entire debt, has a personal counter-claim against the other co-debtors, in accordance with Article 127 (2) of the CPA, in order to receive what he has paid over his part. According to the first subparagraph of that provision, the amount paid to the creditor should be borne by the joint debtors, as long as it does not follow from the relationship between them. 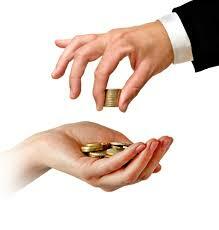 the clause provides for a rebuttable presumption of equal debt assumption by the joint debtors. The information provided in Art. 127, para. 1 of the CPA - "other" may be an agreement between the joint and several co-debtors themselves for inequality in the distribution of the solidarity debt paid to the creditor; may also be due to the lack of uniformity in the debtors' interest because one of them has benefited from all or more than half of the total debt, which is naturally borne by such part of the latter, from which he has benefited has enriched others' account; can also be followed if solidarity results from a torture. The court finds that the defendant does not object to the equality enshrined in Article 127 (1) of the CPA in the allocation of the jointly paid debt of the claimant, which is why the obligation should be considered to be taken in equal shares. In view of the norm of Art. 127, para 2 of the CPA, the joint co-debtor owes its part not of the total debt as it was at the moment of its incurrence, but the part of it that is paid for the repayment of the debt as it was in at the time of repayment and since it was paid in full by the applicant, the defendant owes it half of the debt, together with interest.